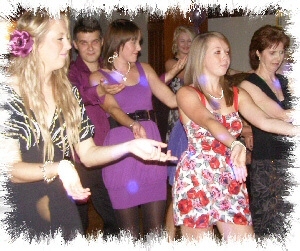 JMF Disco provides a fantastic Mobile Disco in Erith for your party. JMF Disco is owned and presented by DJ John Padmore, a reliable, experienced Mobile Disco in Erith. My aim is to provide you with all the help you need, from your initial phone call to seeing your happy guests leaving after a wonderful nights entertainment, at your perfect party provided by Mobile Disco Erith. your choice of music - let us know in your Party Planner Pack what tunes you want to hear and we will play them - and just as importantly let us know the songs you hate and we will definitely not play them! JMF Disco's mobile disco hire Erith service will provide you with the entertainment you want for your dream celebration at any venue in Erith and the surrounding areas - why settle for anything less? Our disco for hire in Erith service is the ideal solution for your wedding disco - check out our Wedding DJs page for more details of our expert wedding service. If your school or PTA is arranging for a school disco in Erith, JMF Disco can make your task so much easier, with some very competitive rates for mid week discos. do you want us to provide an early set up service so guests do not see the equipment being installed and provides for a quicker room turn around? Click here to get a quick quote for what you need! If the all the details are not fully known at the moment, give us as much information as you can and we will provide you with a good budget price. Doing it right requires an experienced DJ with the right skills and resources that we will bring to your celebration by using our Mobile Disco Erith service. Contact John on Tel 01795 429777, Mobile 07895 546183 or by email to discuss your Mobile Disco Erith service needs or questions. - I'm sure I can provide you with the mobile disco in Erith you really want!